The Rare Editions Girls Toddler Christmas Legging Set has two piece – dress and legging. 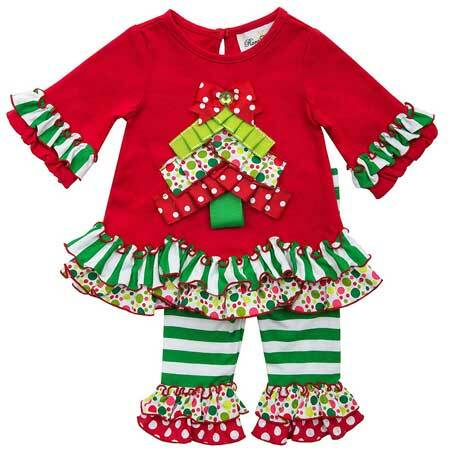 This rare editions toddler clothing features solid red knit top, ruffled at end of sleeves, folded ribbon Christmas tree applique’ at center, and scallop double ruffled trims at hem. They are made of cotton, polyester and spandex. About 87% of customers said that this dress fits as they expected. They are great quality, did not fade or shrink. Materials: cotton, polyester and spandex.